Hacker Games Record: 300 Participants, 49 Projects, 12 Winners! A new set of innovative product-ideas was set afloat over the weekend! The 11th hackathon of the annual Hacker Games series is already over and we are here to reveal the most exciting highlights of the event. On 2-4th March KTU Santaka Valley hosted 218 software developers, engineers, designers, health-tech enthusiasts and other creative people. After 48 hours of mingling, idea pitching, team forming and intensive product-developing a total of 45 projects were brought to life. Please meet the best 12 projects that took Hacker Games: Kaunas by storm! First place and 800 Eur from TeleSoftas and Tesonet was won by ARTB team, who developed a new digital artform – graffiti on the web. They call it Big Little Banner, check them out and help their art grow! ARTB also won tickets to the ChangeMakersON boost camp for being a team with the best social innovation. 1000 EUR prize money from Trustpilot was split into two as the decision was made to award two equally delivering teams – ReviewAI and Trustum. Both teams created great solutions to problems proposed by Trustpilot and won 500 EUR each. Review AI tackled a problem of finding fraudulent behavioral patterns by using AI in steam comments review analysis while Trustum created a Facebook Messenger-based chatbot for real-time reaction to negative online reviews. The Software track, powered by TeleSoftas and Tesonet had 17 projects initially pitched on Friday night of which 3 best ones were awarded with prizes. First place and 1000 EUR for an industry trip from Game Insight, Free exhibition booth & VIP tickets to GameON Conference from GameOn was won by a one-man-team Interesting Arena that created an astounding Pac-Man spin off where ghosts work for you. Second place and 600 EUR from Tesonet and Telesoftas was won by The Fox. They developed an isometric platforming puzzle that leaves you hypnotized by the unique esthetics of the tail of the fox – the main character in the game. VIP tickets to GameOn Conference from GameOn were awarded to TwocanPlay team that created an 80s arcade club simulator, where you have to reset arcade machines manually. One year Unity subscription was won Just Another Escape Game for the best project created with Unity engine. The team developed a 3D first person escape game ever that uses Time Travel and plays on the concept of Butterfly Effect. In Games track powered by Game Insight 17 projects were pitched 4 of which won prizes. First place and 600 EUR from Tesonet and Telesoftas was won by Gold Digger team, who presented an advanced gold detector using camera. 500 EUR from Kaunas University of Technology was awarded to Vibrovision for the most promising Hardware track product. The team built a smart device for blind people to help them orientate better in the environment. In Hardware track a total of 7 projects were developed 2 of which were the winning ones. First place and 1000 EUR and Invitation to a two-day Life Sciences Entrepreneurship Masterclasses from Society of Innovative Medicine was won by StrokeBGone. The team created a platform for stroke treatment using kinezetapic methods in virtual reality. Second place and 400 EUR from Society of Innovative Medicine was awarded to Oculodiagnostics whose invention utilized eye tracking to diagnose PD, autism and even depression. Flight tickets to the selected destination from ADEO WEB were received by Scarlet as the team was nominated for being the most Creative team in all tracks. Scarlet built an ergonomic chair to treat serious back pain. In Health track a total of 8 projects were pitched 3 of which took prizewinning places. 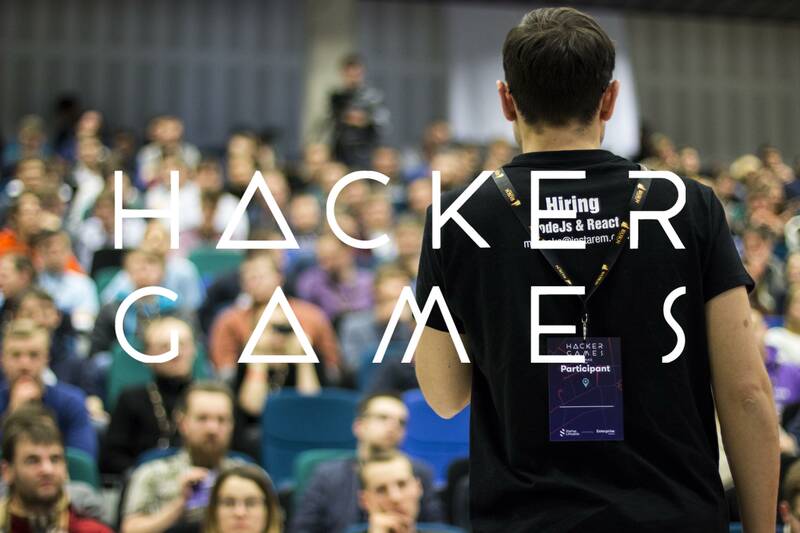 Hacker Games: Kaunas was organized by Startup Lithuania and KTU Startup Space. and 15min. We are also super grateful to Kauno Grūdai, Burn Energy Drink, Druskininkų Hermis, Pergalė, Caffeine, Vilkyškių Pieninė, Elmenhorster,BON CHANCE, Vitamin Well, Ekomera, The Good Vibes Kitchen, Pepsi, NuttyNuff & MANA for providing the participants with snacks and drinks. See you in Hacker Games: Vilnius in June. Follow us on Facebook and www.hackergames.lt to get the latest news and updates. Photos by Vaida Morkūnaitė, Mantas Zdanavičius and Tomas Šlepikas.